The Value of the Local or Does Size Matter? Lying awake one night in Robe, South Australia, I remembered this 2008 commercial for Bega Cheese. The “Tamborine is not famous for Tamborine’s” man is my grandad – so sadly passed away late last year. He will always be remembered – most famously for this!! The Cardigan guy is my teacher!!! The punchbowl one is shot in the same street as my grandparents house lol. … and I grew up on a farm in the back ground of the cheese shot. The commercial, it’s YouTube comments and all the community-level museums I’ve visited in towns across Australia all speak to me about connection to specific and local place. They do so with a clarity that our large collections, with their broad visions and mission statements, don’t have. The community-level museum doesn’t just tell local stories but also, like the YouTube comments, provides space for those expressing connection to them, often on a charmingly personal level. 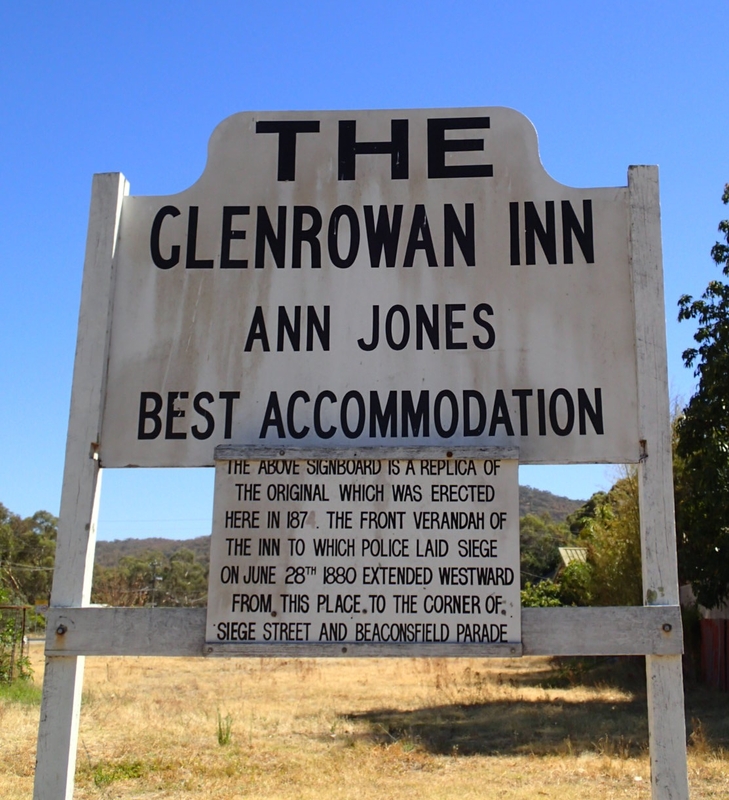 At Glenrowan, an infamous site in Australian history, visitor’s imaginations are crucial to success. With the original buildings long gone, only grassy paddocks remain to gaze at. The interpretation is professionally designed and you can follow the clear numbering system or take your own path. I was doing just this when a burley local, walking his dog in nigh-40 degree heat, shouted warm regards and instructions for how best to see it all. This man was happy to shout his connection to place down the street. In the tiny roadhouse at Belladonia, deep into the Nullarbor desert, a one-room museum entices you in with a huge lump of (fake) Skylab debris on the roof. 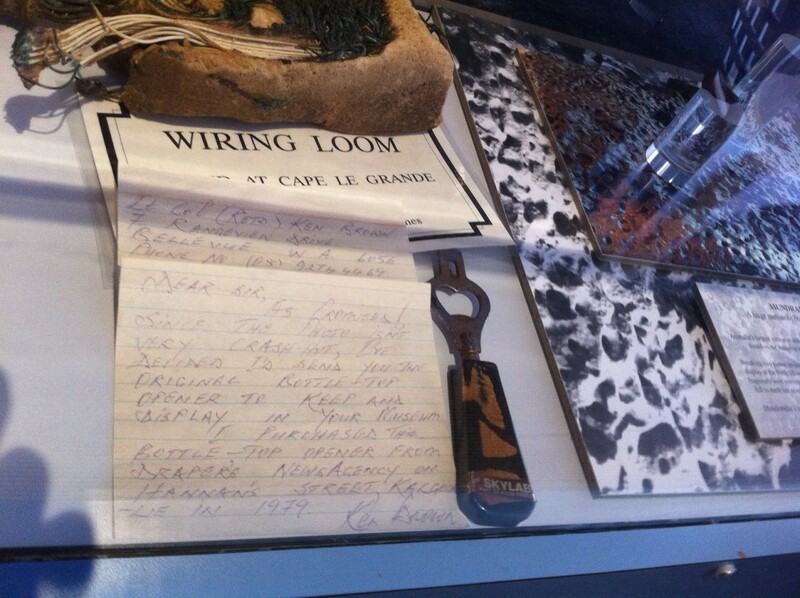 Here I found objects displayed alongside their original handwritten donation letters, from people wanting to express their connection to the local story. In Kingston, the Tractor Museum is one big expression of personal connection to place. It seems to me that the tiny community-level museum has an advantage. Operating on a truly local scale, it doesn’t have to create common themes where there may not be obvious ones. At the community level, there’s a ready-made story waiting to be told based around the question “Why’s this town here?” with a readily identifiable community of people wanting to express their connection. These local museums may wish for features of our larger collecting bodies (money, designers, a curator), but they do have a focus and a clarity in the local narrative, a clear purpose in differentiating their town from the next. For our larger museums, the clarity and resonance of stories and themes can be diluted by a broad remit and a widely diverse visiting community. I’m beginning to realise the final polish of a professionally designed exhibition case or text panel might contribute to this. There seems little room for the personal, for the handwritten donation letter or text panel, for the local to yell at you with enthusiasm. It’s in our larger museums in which our national or state communities appear more obviously imagined (pdf) than real. After visiting the many small communities I have in the last month, I wonder if we can really remove ourselves from the specific, the local, the community-level in Australia? I wonder how we can identify narratives in our larger museums which tie together a majority but which don’t become so abstracted as to lose substance and meaning? At this point, I feel size absolutely matters. I wonder how to bring some of that clarity and the charmingly personal connections found in so many of our tiny, local museums into our big collecting institutions? Implicit in all of this too is the imperative need to physically investigate places and communicate with the people connected with them. They are our best chance of understanding place and memory. I have also found this communication is often instigated via the web. Thanks – You’ve hit on something I had originally planned to include, about the importance of travel and the experiencing of place in your body that’s so important to belonging and understanding specific place. I did think of your post about travelling in William Hall’s footsteps through the Hawkesbury region. Also about Mudrooroo Narogin, who walked some of the most inhospitable regions of Tasmania before he wrote Dr Wooreddy’s Prescription for Enduring the Ending of the World. Something about that bodily experience, of feet on the ground. In this way, the ‘ordinary’ objects with all their quirkiness and hand-written weirdness has the potential to do something quite different from the more streamlined object displays in larger museums – rather than connecting us to grander narratives outside of us, they can use their ordinary force to connect to a felt sense of humanity, of the potency of everyday, ordinary life that we all partake in, no matter what bit of ‘local’ we are part of. So I was thinking how this might be relevant to community museums in Italy. 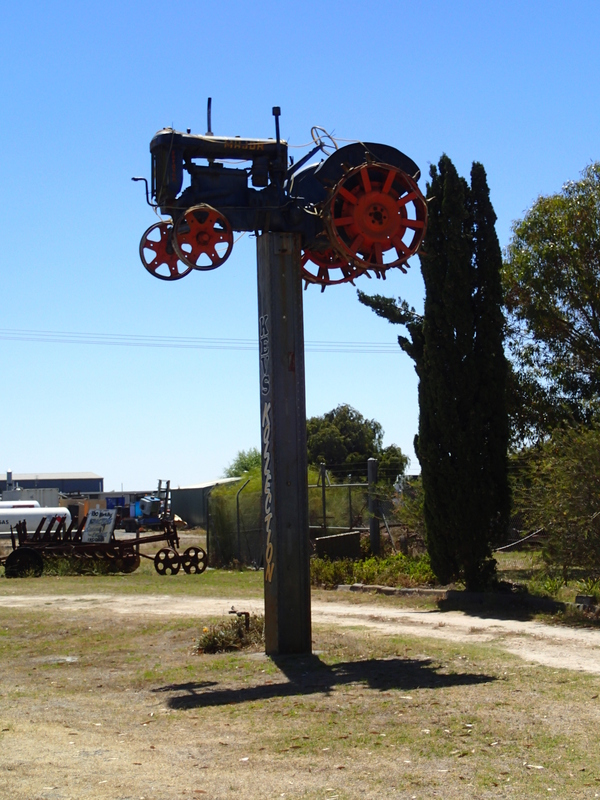 Here, there are no tractor museums or anything of the sort, although I think if you go out to the styx there are in fact things like a mining museum in Sardegna and another in Maremma, which might be more like the examples you offer. But if you go to the town of Prato in Tuscany or any other town in central Italy you get another Dioscesan museum full of mediocre religious art, and this seems to me to be rather distant from the daily dialogue of these communities. If there was much of a personal connection at some time, it’s been lost in 800 years of history, and often little is done to create that connection now. No wonder our sall museums are always empty. This post resonated with the Australian museum community, but less so beyond that. Perhaps it speaks to the different ways countries come about, their relationship with history and the roles museums play in that. Geo-cultural context has such an influence on how a museum operates. Mind you, like the Dioscesan museums in small Italian towns, these small museums in Australian towns were pretty empty too. Often I was the only visitor at the time. Most claims to belonging I saw were evident within the exhibits though. I’m now curious about what residents in towns throughout Italy might say about their local museum if asked.